Located in the Darjeeling sub-district of West Bengal, Manebhanjyang is a small transit town that you’ve probably never heard of. Even I never had, but when Land Rover decided to bring us here to celebrate its 70th anniversary, there had to be something significant about this place. 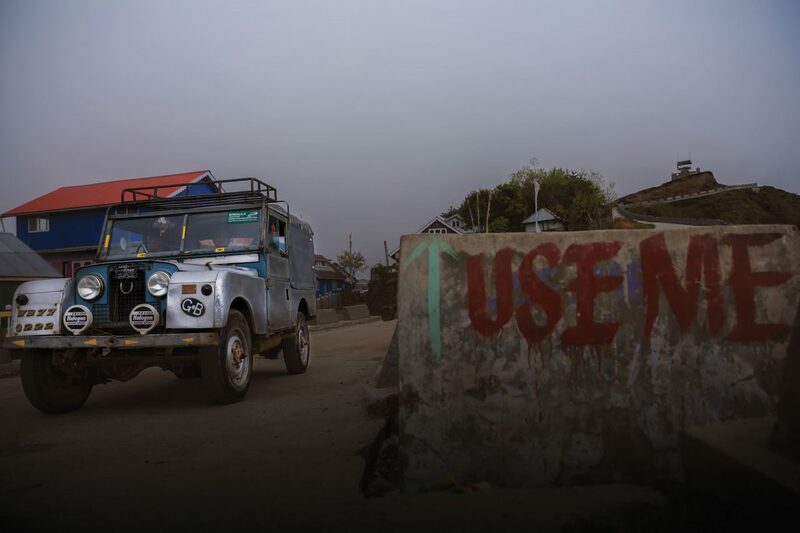 It is said that Manebhanjyang is home to the largest Land Rover Taxi Association in South East Asia. And these Land Rover taxis have been in service for over 50 years now! 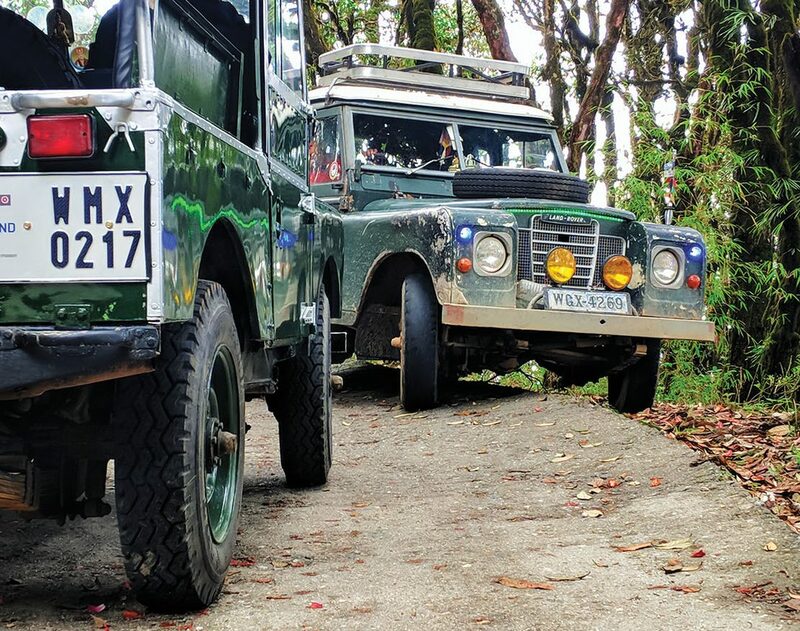 These Land Rovers — Series 1, Series II and Series III models — have been to ferrying people and transporting goods on a route that is banned for two-wheelers and is impossible for normal front-wheel-drive vehicles to climb. Locals swear by them because these Landies were the only vehicles that could overcome the steep route which was accessible only on pony trails before. 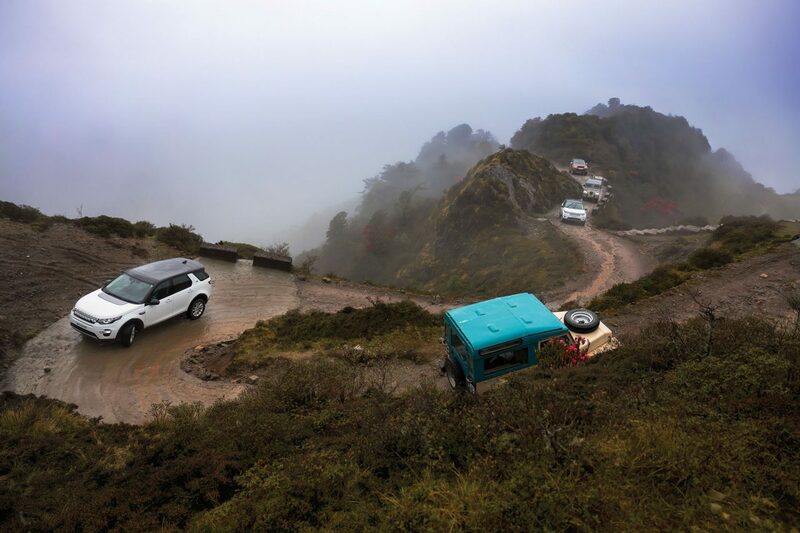 All these years, it has only been Land Rovers that could climb on this treacherous section of road on the Indo-Nepal border doing not just one, but at times, seven trips in a day carrying a payload of 600 kg. Being a part of this monumental drive was in itself a great thing. As we approached the starting point for the Manebhanjyang-Sandakhphu route in modern Discovery and Discovery Sport models, we were welcomed by the Land Rover taxis which were to join us on this iconic journey. 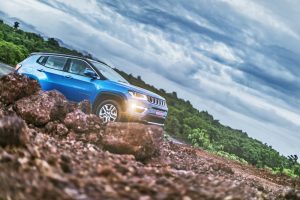 The convoy comprised two Series Is and a Series II lightweight, apart from the modern fleet of Discovery Sport and new Discovery vehicles. 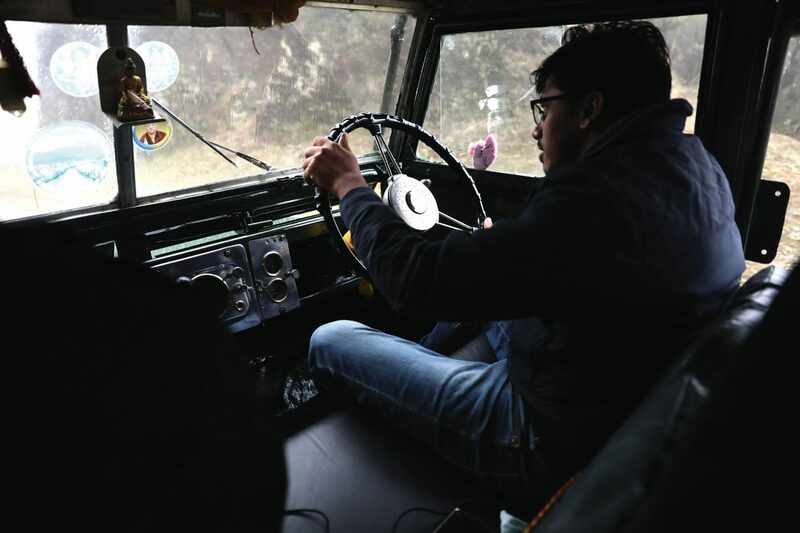 For the journey towards Sandakhphu, I hopped into an immaculately maintained Series I that was owned by Chandra. He’s been driving this Series I for the past 13 years, and before him his father used to drive up and down the same route using the same Series 1 for many years. There are a lot other 4×4 vehicles that now frequent this route, but the Land Rovers have always been the 4x4s of choice. I got an inkiling of why when right at the start of the drive the Series 1 gained ground on the steep gradient with sharp hairpin turns. To give you an idea of the inclination, the total distance to be travelled was 31 km and the altitude difference between Manebhanjyang and Sandakhphu was 1708 metres. This meant an altitude rise of roughly 55 metres for every kilometre. All this was happening while crossing sections that allowed only one vehicle to pass at a time. There were instances when the cliff’s face was on my left and the valley on the right. And since the route is close to the Indo-Nepal border, there were several places where if I got out of the car from the left side, I’d be standing in Nepal. Apart from the extreme road conditions and oncoming traffic, another factor to be dealt with was the abruptly changing weather. There were occasions when the cloud cover would be so dense that the visibility dropped down to just 10 metres. It would either rain or the sun would break through the clouds shining down on the beautiful valley below us. While I was riding shotgun with Chandra, I couldn’t believe how well the Series I could deal with the thrashing and bashing it was being put through. For safety, there weren’t any seatbelts, just a bar in front to hold on to whenever the road got too rough. While I was struggling to keep myself in one place, Chandra was driving along with the complete composure that comes from doing things daily. He would drive most of the time in third gear and occasionally slotting into fourth when the road would open up. As we went higher, the road surface started to get coarser, narrower and even more inclined. 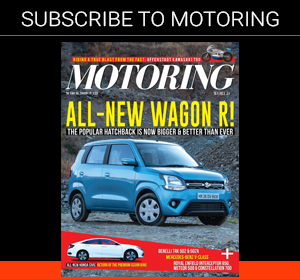 Chandra slotted a small knob forward to select 4-low and, in second gear, the Land Rover’s 1.6-litre 55-bhp petrol motor started to climb the steep sections without any signs of slowing down. Two hours into the journey, visibility reduced again and even the temperature dropped by a few degrees. Surrounding flora started to become dense as we entered the Singalila National Park region. After a quick halt for a round of hot drinks, it was time to move ahead, but instead of Chandra, I was behind the wheel. The Land Rover folks had chalked out a section for us to drive the Series I on, so that we could also get a feel of the robustness of the 4×4 legends. Everything was mechanical on this car. Turn the ignition ‘on’ and an amber lamp on the dash glows. Turn the key further with the right foot slightly dabbing the accelerator, the Rover springs to life. My primary fear was stalling the vehicle and rolling backwards into the valley, but instead, the wheels began to roll just on slipping the clutch at idling speed! This vehicle was so easy to drive, it felt as if it was designed for this very route. The road was narrow and bumpy, so sticking to the first two gears was the plan. With a constant throttle and inputs from the steering with lots of play, I drove the Series 1 over ruts, stone and mud without any fuss. After driving for close to 5 km, we arrived at Jaubari where, after a quick stop for the convoy to bunch up, we were back on the move. The last 4 km of the route were extreme. Chandra was back in the driver seat as we crawled at 10-15 kph all the way up to our destination, Sandakhphu. After a short meal to celebrate the moment, it was time to head back as the wind became alarmingly gusty. We were told that on a day with clear skies, one could see Kanchenjunga, the third-highest mountain in the world. But no such luck for us on that particular day. On the way back down, it was a different challenge as I was now driving the new Discovery. While the Series 1 was compact and easy to manoeuvre through the tight corners, the Discovery had to perform two-point turns to negotiate the tight hairpins. This task was made simpler with the help of Land Rover’s All Terrain Response System which allowed me to descend gradually with a controlled speed through the steep downhill sections. Also, there were occasions where I had to deal with oncoming traffic which is where the Drive Assist function came in handy. There were incidences when the front tyre would be right on the edge of the cliff just to make enough clearance for other Land Rover taxis to pass. 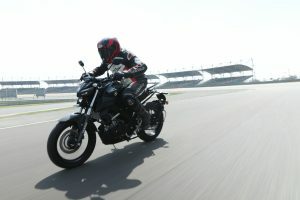 And when approaching a crest, the grille-mounted camera would provide a clear view of the obstacles ahead when the only thing visible through the windshield was a blue sky. The entire journey of driving to Sandakhphu and back had taken us close to nine hours. But ever single minute of the grand journey was completely worth it. 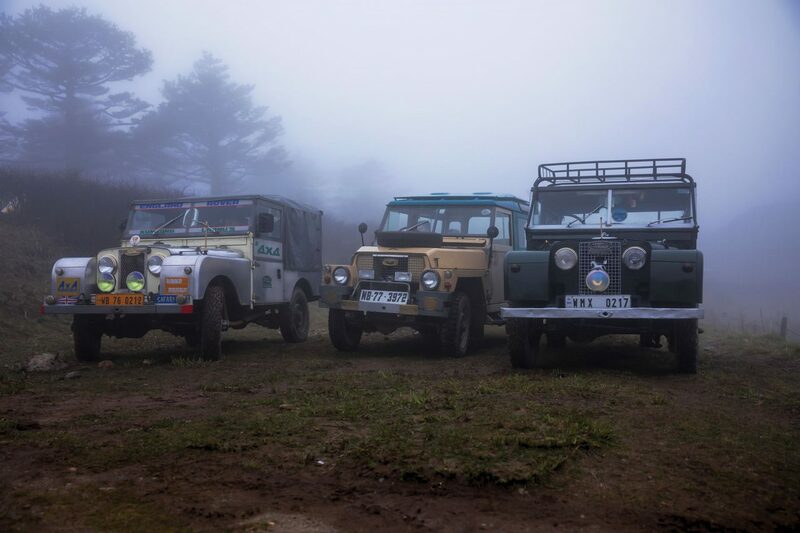 Out of the 300 Land Rovers that were commissioned for taxi service in Manebhanjyang, only 40 remain in original condition. They are the heroes of the Manebhanjyang-Sandakhphu route, and this place rightfully deserves to be called the land of the Land Rovers. 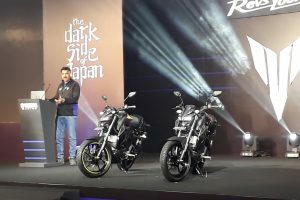 This experience was a memorable one, a fitting Indian celebration of 70 years of this iconic British company. The new cars are impressive, no doubt about it. But if I had to choose, I’d pick the Series I and swear by it just like the people of Manebhanjyang.